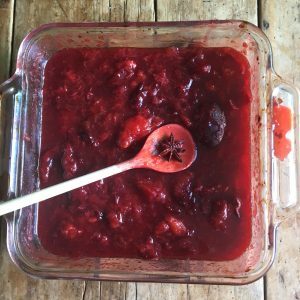 When plums are plentiful, I make this thick rich plum sauce – it’s easy and delicious. I have learned by dogged experience to remove the plum stones first. Sieving them out later is not as easy, trust me! That’s the only hard part though. 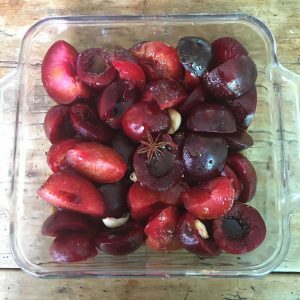 Pile the plums into a glass or ceramic baking dish with the other ingredients and stir them about a bit. Make sure you remember where you put your Star Anise because you will need to remove it after cooking. Bung it all in the oven at 175c for about 40 minutes, until the plums get dark bits on the edges, and are soft when you poke them. 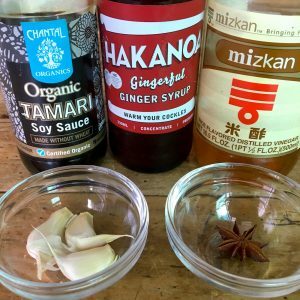 Remove the star anise. Blend the entire mixture until smooth. 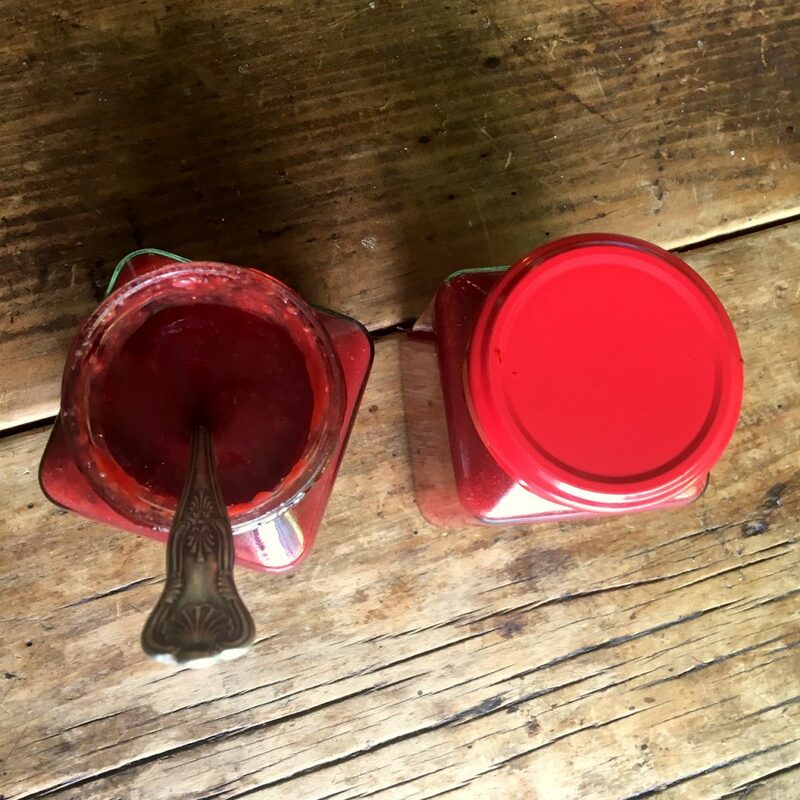 Spoon the mixture into hot clean jars, making sure you don’t leave any air bubbles, and seal immediately. 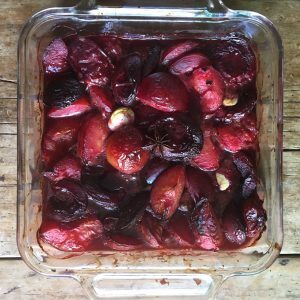 4 cups of plums, halved & de-stoned. I like a mixture of black and red plums. makes about 4 medium-sized jars.